In Figure 1 below, you will see two index marks printed on the dial ring. Index mark A is to be used to open the lock and index mark B to change the combination. Always turn the dial slowly and evenly. Each time you align the combination number with an index mark, it is considered one revolution is completed. If you over dial do not turn the dial back to compensate, merely restart the sequence from the beginning. You may select three new combination numbers. For the last number, DO NOT use any number between 0 and 20. For maximum security, do not use numbers that end in 0 or 5, and do not use numbers in ascending or descending order. For example, 27-86-48 is more secure than 27-48-86. WARNING: Never insert the change key into the lock while the cover is removed. Before turning the change key, ensure that the wing of the key is fully inserted into the lock. 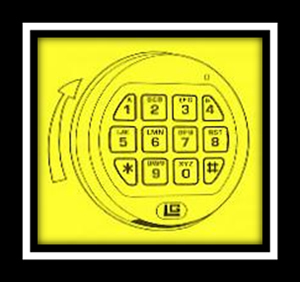 Dial the current combination to open the lock using index mark A and open the container door. See above the instructions on ‘Unlocking the lock with the preset combination’ or ‘Unlocking the lock with a three-number combination’. Dial the current combination again using index mark B. With the last number aligned with index mark B, hold the dial securely in place so that it does not turn. Insert the change key into the keyhole in the back of the lock. 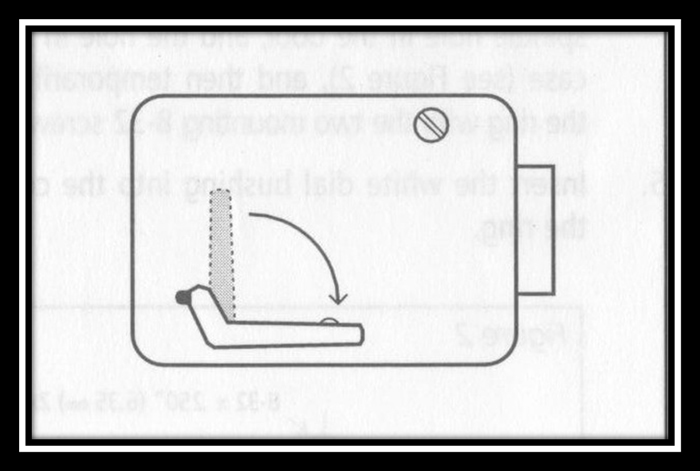 Ensure that the wing of the key is completely inside the lock and comes to a positive stop, then turn the key 90⁰ counter clockwise (see Figure 2). Turn the dial counter clockwise for four revolutions, aligning the first number of the new combination with index mark B, four times. Turn the dial clockwise for three revolutions, aligning the second number with index mark B three times. Turn the dial counter clockwise for two revolutions, aligning the third number with index mark B, two times. Entry will not respond to a single keystroke during delay period. Test lock operation several times before closing door. Repeated beeping during an opening indicates that the battery is low and needs immediate replacement. Use one (1) 9-volt alkaline battery. It is recommended to replace batteries annually. 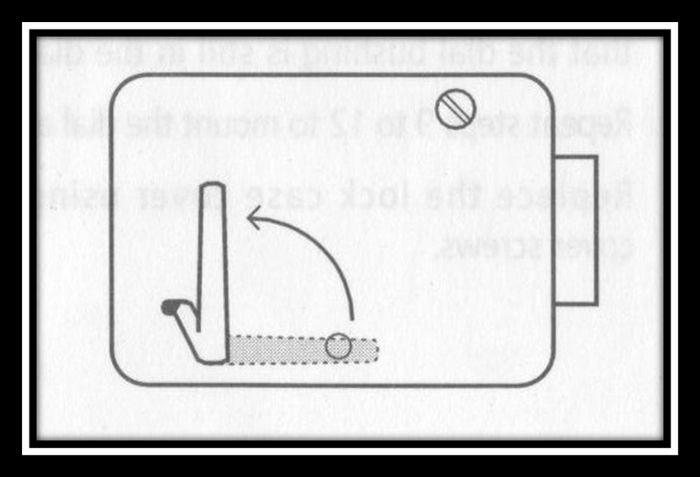 If internal battery is depleted and will not allow lock to open, simply follow the instructions below. Lock contains a non-volatile memory, even with batteries removed; the lock will retain all programming.